The Opus Titration enables users to precisely, quickly, and effectively perform titrations via application of advanced motor technology. All dispensing is motorized and operated through a TFT touchscreen, with volume configuration and procedure planning included in the touchscreen module. The advanced feature that makes the Opus Titration such a useful tool in titrating applications is the titration impulse action by the motor which can break-up droplets as small as 10uL. Thus, users can ensure their titration is extremely precise and can be less concerned about user error. All dispensing, programming, and operation is performed through the touchscreen, which is equipped with an intuitive navigation system. The Hirschmann Opus Titration succeeds because it can produce droplet break-up with as small as 10uL droplet. The tiny droplet allows users a very fine level of precision that other titration equipment cannot provide. The droplet break-up is produced by a titration impulse triggered by the Opus Titration bottletop dispenser motor. Titration and other dispensing operations are performed via a Thin Film Transistor (TFT) touchscreen. The TFT element of the touchscreen is particularly important because it adds an extra level of sensitivity to the screen, such that users can be certain that even a light touch will control the bottletop dispenser. The touchscreen module controls dispensing and everything else from volume configurations to individual calibration. 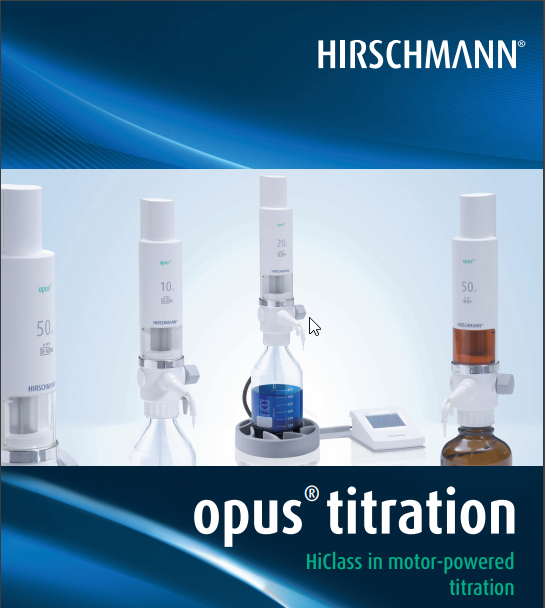 Hirschmann Opus Titration units are designed to streamline liquid dispensing, particularly titration, and they do that by providing users with options to speed up their process. Upon start-up, Opus units will automatically revert to the last used setting (at deactivation), so that users can continue working with the same settings they had at last use. Furthermore, Opus Titration also comes equipped with a 9-space memory. 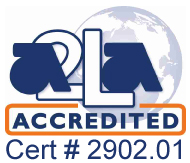 Users can save up to 9 different procedures within the system. Hirschmann designed the Opus Titration to function as a versatile bottletop dispenser for a whole lab, not just for one purpose. Since multiple users may need to perform liquid dispensing, PIN security allows only certain users access or limited access. This way configurations or functions can be limited to only authorized personnel. The Opus Titration package includes a darkened, light-resistant window. This window can be switched out for the standard one on the valve block so that during dispensing, light sensitive media can continue to avoid light exposure. Windows can be easily exchanged and visibility is still allowed so that users can continue to monitor the volume being dispensed. 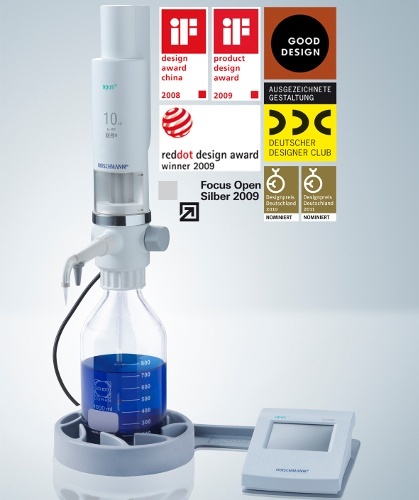 The Opus Titration bottletop dispenser can rotate freely without requiring bottle movement. Users can set up the base and bottle however necessary for ergonomic operation without tying the dispenser position to the bottle placement. 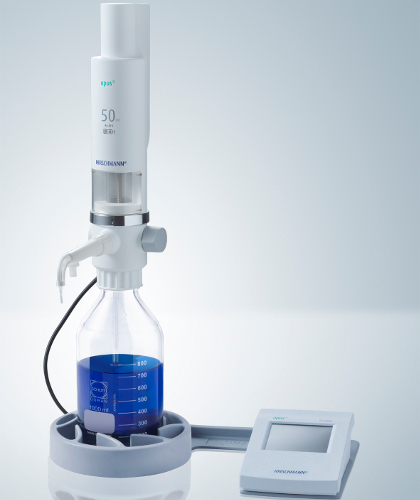 The dispensing portion of the Opus Titration is equipped with a Universal Luer connector, which is compatible with a variety of other connections. Users can effectively attach dry tubes, filters, or other similar parts via this connectivity. Opus Titration units are engineered with a highly effective media recirculating system that allows the titration system to quickly vent without reagent loss. The Opus Titration was created with very specific materials allowing for reliable piston sealing, a withstanding body, and the durability to work with otherwise problematic media. High-purity aluminium oxide ceramic was selected as the material for the discharge valves and the valve seats. Hatelloy Valve Springs are used in the dispenser. Opus Titration units have USB and RS232 interfaces that allow users to connect a computer to the unit. Users can actuate and read data on a computer via this interaction.